I am super excited to introduce you to a true inspiration both in her professional and personal life. Her name is Kyle Rector, and she’s an Assistant Professor at the University of Iowa. She is also my sister — I am beyond excited to introduce you to her. I’ve seen her entire journey and I’ve never known someone who works as hard as she does. I am honored to share my sister’s story with you all. Kyle Rector: I was born in Southern California and grew up in Clackamas, OR. I graduated from Oregon State University with a BS in Electrical & Computer Engineering and Computer Science. I graduated with my Master's and PhD in Computer Science and Engineering from the University of Washington in Seattle. While I was in college and graduate school, I was fortunate to spend some time in Pittsburgh and the Bay Area. Now, I am an Assistant Professor of Computer Science at the University of Iowa. I have lived in the Midwest for two years, which has been a lot of fun to explore! LE: You are a professor at the University of Iowa. That is so awesome! Tell us about your area of focus and how you got there. KR: My research area is Human-Computer Interaction. My specific focus is on Accessibility, where I focus on developing new technologies to enhance the quality of life with people who are blind or have low vision. The reason I pursue research in Human-Computer Interaction (or even majored in Computer Science) is because of an amazing mentor of mine, Dr. Margaret Burnett at Oregon State University. When I started college, I was afraid of Computer Science and therefore was exclusively studying Electrical Engineering. I also learned about paid research opportunities through a matching program for women in STEM (Science, Technology, Engineering, and Mathematics). I expressed interest in Dr. Burnett's research because she was exploring how people of different genders use Microsoft Excel. I remember seeing her project and thought "Huh - there are so few girls in my classes; maybe I should check out this project." I am thankful she chose me in the matching program. I ended up working for her for 4.5 years - until I graduated. She opened so many doors, including scholarships, conferences, and research experiences at other universities. When I was visiting graduate schools to decide where to study, I met one of my advisors, Dr. Richard Ladner, who conducted research on Accessibility. I was (positively) shocked that people in Computer Science wanted to enhance the lives of people with disabilities, so I had to join his group. 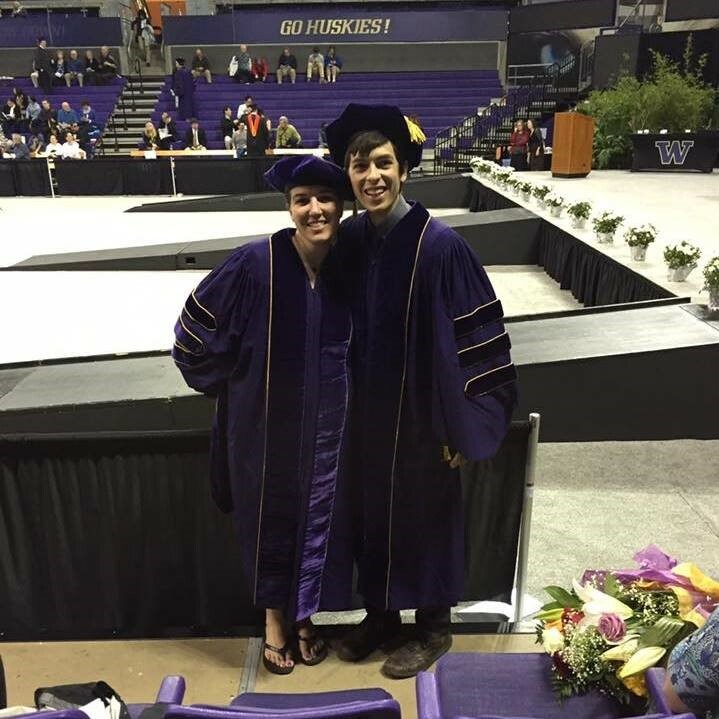 A couple of years later, I connected with my second advisor, Dr. Julie Kientz, because of her interests in health and wellness. It was this synergy between Accessibility and wellness that helped me develop my research area of developing technologies that enhance the quality of life for people who are blind or have low vision. Since then, I have designed and developed technologies to make exercise and art exploration more accessible to people with visual impairments. LE: I know you've presented your work at conferences. Any you can tell us about? Also, what are your top five tips for getting ready to present? As a part of graduate research and academia, I have given many talks. My top five tips for presentations are inspired or come directly from one of my mentors, Dr. Joshua Hailpern, and his end-of-internship gift, "The Presentation Secrets of Steve Jobs." They also come from other graduate students and faculty when I was preparing for job interviews. Practice, Practice, Practice. So much so that it appears as if you are 'winging it.' Have your first 1-2 minutes completely memorized so you take command of the audience, and then ease into yourself once the jitters are gone. Everything in threes. My 'outline' slide is three photos placed side-by-side with one word representing each section. My closing slide has three clauses for people to takeaway from the talk. People have the easiest time remembering three things. Use the restroom before your talk. If you are particularly nervous (which is normal), you have the ability to have some privacy, take deep breaths, and stretch. You are the most qualified person in the room. There is a reason that you are giving that talk and not someone else. You have the experience, stories, and lessons to share with others. Prepare for the Q&A (question and answer) session, not just the talk. You may already know some obvious questions if you have to gloss over some work in your talk. Give practice talks and task your audience to think of difficult questions. Finally, if you do not know an answer, this is fine. Be honest, ask for their contact information, and follow up with them afterward. Being true to yourself and following up on your word will be more respectable than an answer not based on evidence. KR: My biggest breaking glass moment was my gap year before college. Prior to my gap year, I had experienced burnout. I pushed myself in several facets of my life including school, sports (cross-country, swim team, and track), music (clarinet, piano, and singing), and clubs (Key Club and National Honor Society). I pushed myself to accomplish many goals including varsity letters and college admissions. However, I had tied my self-esteem to my achievements, instead of finding my worth from within. My gap year was transformational. I refocused my work ethic from accomplishments to self-care. I shifted my time from schoolwork and practices to volunteering. 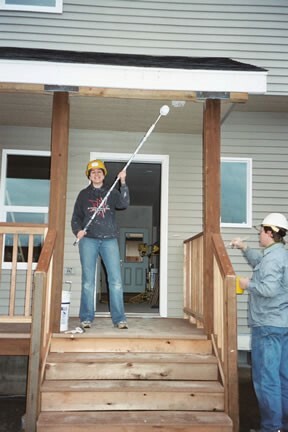 I volunteered over 700 hours with Habitat for Humanity, where I took a part in 15 duplexes, a women’s build home, and stocking the Habitat Restore. I met people outside of the 'academic bubble,' and realized there is so much more to life than the rush to attain prestige. My gap year was unexpected, but taught me an important lesson while I was still impressionable - I cannot control the trajectory of my life, but I can control my reaction to adversity. Once I went to college a year later, I attacked college and relished in homework in exams. I had self-worth and a renewed passion to live my life to the fullest. KR: I optimize my day by performing the most cognitively demanding tasks in the morning and least cognitively demanding tasks in the evening. During the day, I have several meetings with students, lab groups, and other purposes. In my breaks (10-30 minutes and occasional 2-3 hours), I plan my class, eat, answer emails, or write. Depending on work deadlines, I may work on the commute home or relax and listen to music or podcasts. In the evening, I do simple tasks (e.g., answering emails, busywork) or more writing if needed. Tuesday and Thursday evenings I have choir practice, but regardless, I 'shut off' at 9:30 p.m. to get ready and plan for the next day. KR: I talk to my husband about smaller matters. If I am having a larger struggle, most likely preventing me from falling asleep, I will journal my thoughts until I have nothing novel to add. I might read it over once to acknowledge what I am going through. This gives me enough closure to sleep. For me, part of overcoming struggles is preventing them altogether. I give myself the best chance to be resilient by taking care of myself. I make conscious efforts to give myself permission to take breaks and days off. I get enough sleep, keep myself active, and eat healthily. This quote resonates with me the most with respect to my story. I learned that life is unpredictable, so I choose not to fixate on the future but make the best decisions I can now. I choose not to bear the weight of my past struggles on my shoulders so I can make the most out of today. KR: Empathize with others as much as you can. Learn about other people's stories as much as you can. Advocate daily about something you are passionate about. Pick up trash off the sidewalk and throw it away at the nearest can. Leave your surroundings and your world better than when you entered. KR: Right now, it is singing. Watch out — Kyle is breaking glass and there is so much more to come. She’s shown all Girls on the Rise how you can take care of yourself and be a leader in your industry and a positive influence for others. Can’t wait to see what Kyle achieves next. The content in this article is not endorsed by or reflects the views of the University of Iowa.